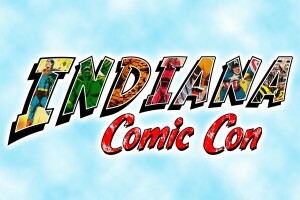 The 2018 Indiana Comic Con runs March 30-April 1 at the Indianapolis Convention Center. 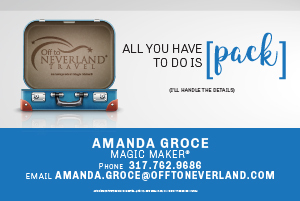 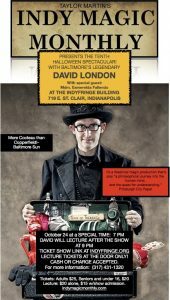 For Halloween, Indy Magic Monthly brings you from Baltimore, MD, the great magic of David London. 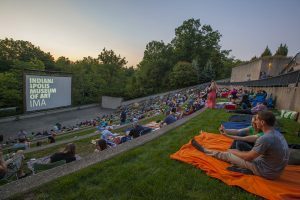 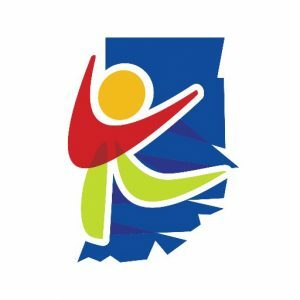 The Indiana Arts Commission (IAC) announced today that the next quarterly business meeting of the Commission will be Friday, June 16, 2017. 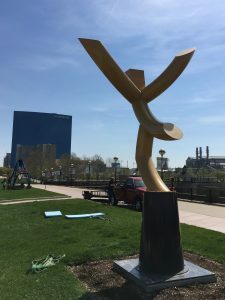 A sculpture embodying the drive to achieve goals has been added to the collection of public art along the historic Washington Street Bridge in White River State Park. 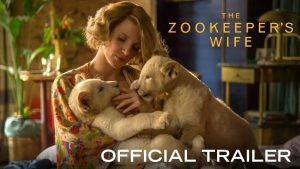 Focus Features’ drama “The Zookeeper’s Wife,” directed by Niki Caro, has been honored with the Truly Moving Picture Award by Heartland Film. 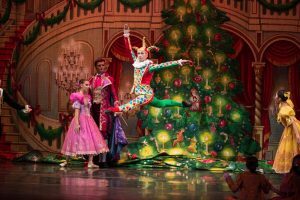 The Moscow Ballet Great Russian Nutcracker will be in Indianapolis on Sunday, November 26, at Murat Theatre at Old National Centre.